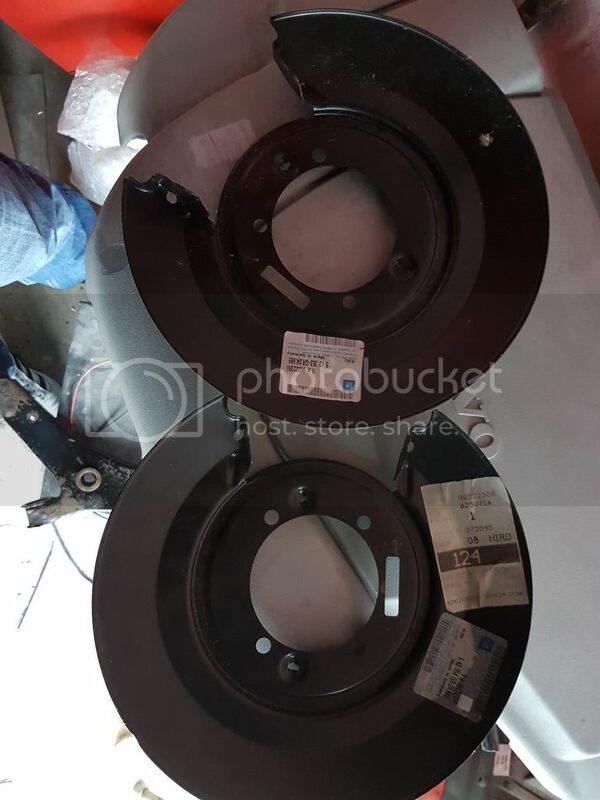 1 set of brand new unused un rusty unavailable rear brake backing plates. Folks, just checking, are these still available or have they now gone? Drives: an original SE6 auto, 86,000 miles (approx) and still going strong......(but some work is needed!). Now my second car. Im guessing there gone mate. I assumed so but I had to ask. I managed to get a set of aftermarket parts online and a spring rebuild set so they'll go back on the car this Friday. Hopefully that will be all! How did you find them...ebay...? I have two Omega B plates to go on mine. I still need other bits so I need to find someone whose breaking a calibra and hope the bits are as good as those already on my car! I know: some bits are relatively easy to get hold of and reasonably priced. And others are just daft!